Libya - On Tuesday (20/12) IOM assisted 140 stranded Nigerian migrants, including 83 women and 57 men, three migrants in need of medical assistance, and six unaccompanied child migrants to return home to Nigeria from Libya. The IOM charter flight, which was coordinated in close cooperation with the Libyan authorities, the Nigerian Embassy and Libya’s Directorate for Combating Irregular Migration (DCIM) departed Tripoli’s Mitiga Airport at 1:20 pm and reached Lagos at 4:30 pm in the afternoon the same day. 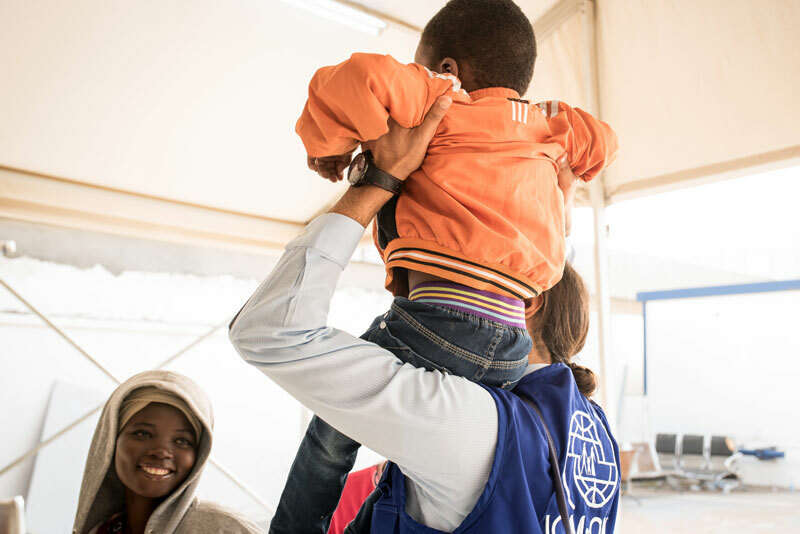 IOM interviewed the migrants before departure and provided health checks to ensure that they were fit to travel. IOM also distributed new clothes and shoes to all 140 migrants before the flight. The migrants included 27-year-old Rose, who left Nigeria with her family. She came to Libya looking for work and a better life. But her house was robbed and she lost everything. Her husband was beaten and Rose was taken to a detention centre where she spent two months. Her son was taken care of by his school teachers. After what she went through in Libya, Rose is now looking forward to returning home with her son. “I would not advise anyone (Nigerian) to go to Libya,” she said. The repatriation was funded by Italy, Norway and the European Union.